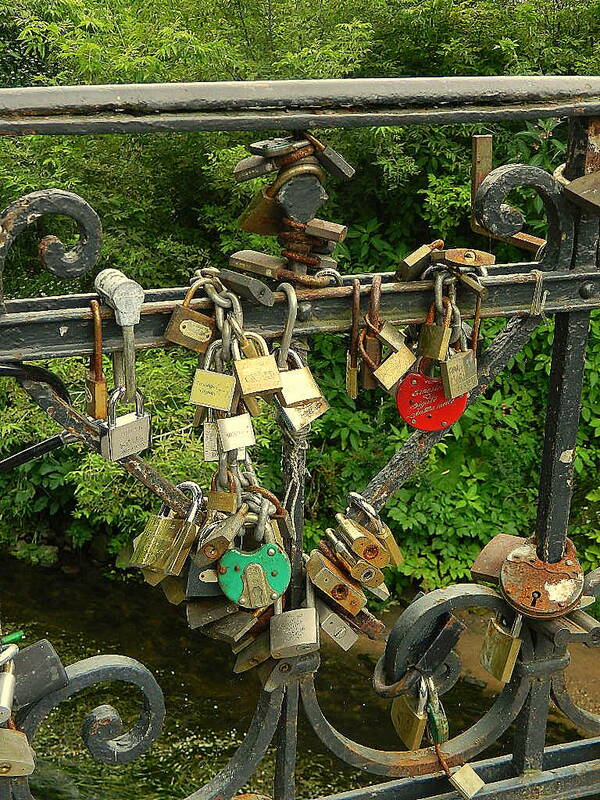 On the bridges that connect Užupis with the rest of Vilnius, there are hundreds of locks. 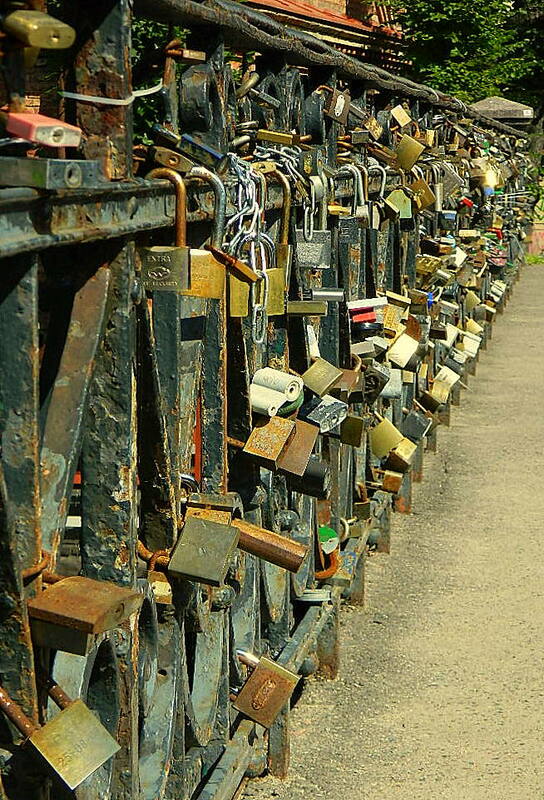 Couples write their names on the lock, then attach it to the bridge and throw away the key. Some may find this romantic. 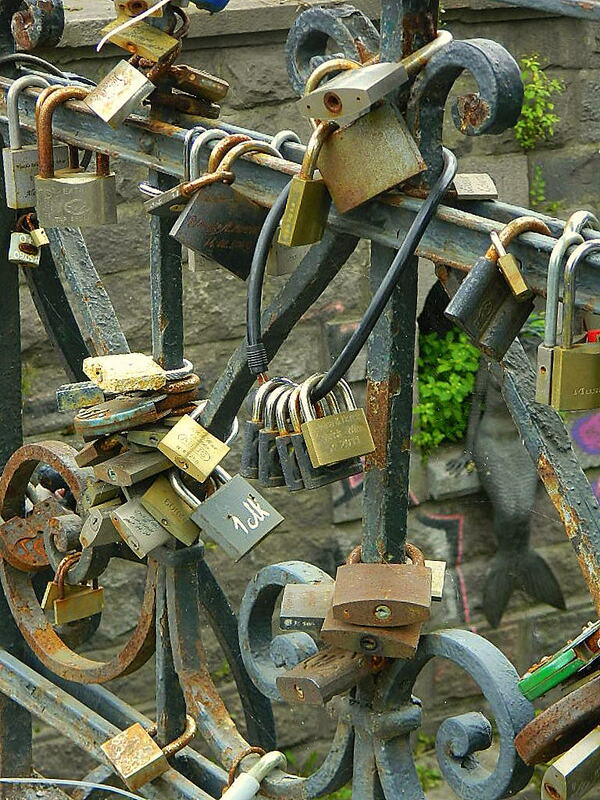 – I just think of all the bicycles that could have been protected with these locks. 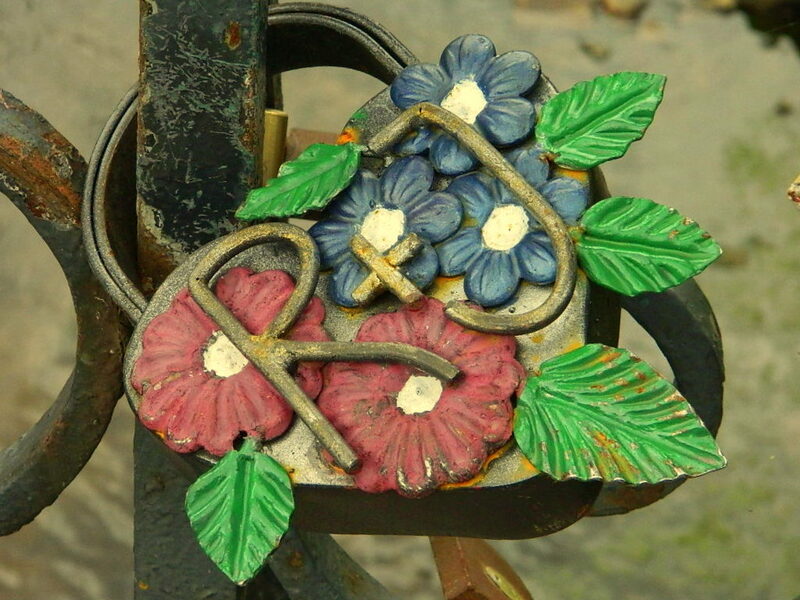 This entry was posted in Lithuania, Love, Photography, Travel and tagged relationships, Uzupis, Vilnius. Bookmark the permalink. Bicycles? How about all the starving children or the whales. Or my bank account? 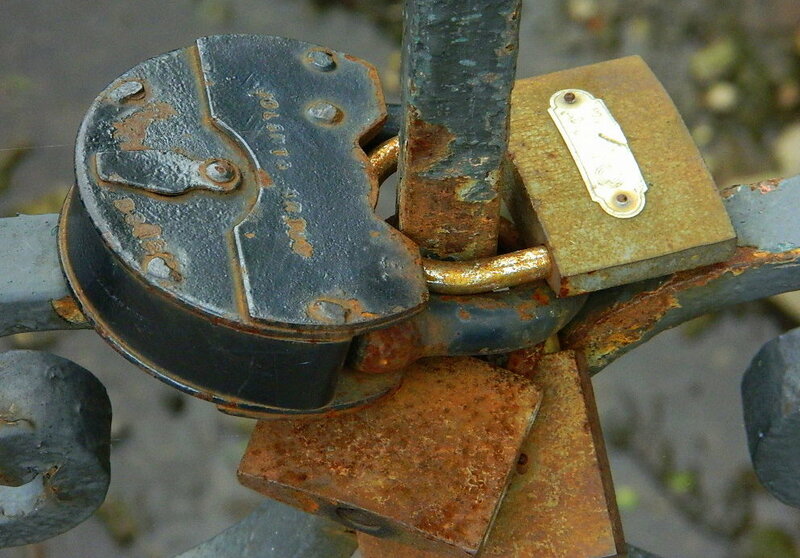 How does a lock protect a whale? Please illustrate your answer visually. Oh, I was completely unaware of that. Even more people who will find this blog, but not at all what they were looking for. Thats exactly the bridge I wanted to point out too! Adding to the rational side of it, I always think how much they all weight and if the bridge was constructed to hold that much extra weight.